Get real benefits from artificial intelligence. 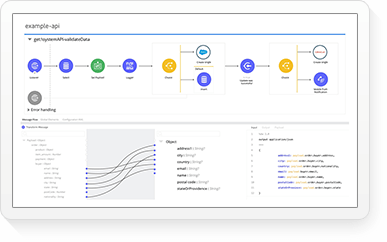 Make every part of your business smarter with Einstein — it’s AI designed for Salesforce. 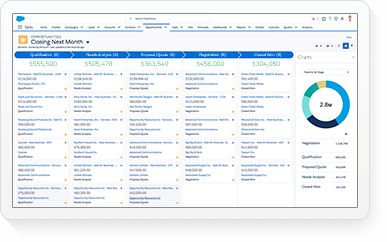 The world's #1 CRM is now the world's most intelligent CRM with Einstein AI. 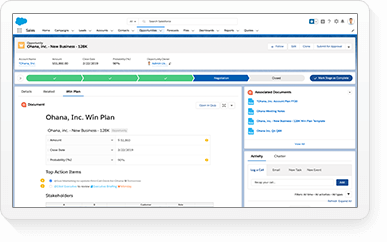 Hand your sales team their next win with predictive scoring, actionable insights, speedy automation, and more accurate forecasting. Spend your time more effectively. Einstein automatically prioritises the leads and opportunities most likely to convert and close based on your history and past deals. See key business developments on your accounts and opportunities. Know whether or not a deal is likely to close by identifying customer sentiment, competitor involvement, and company updates. 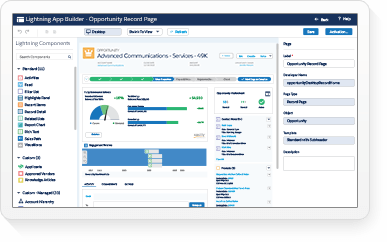 Create more predictive marketing journeys. Deliver the right content, to the right audience, on the right channel, at the exact right time with AI right where you work. 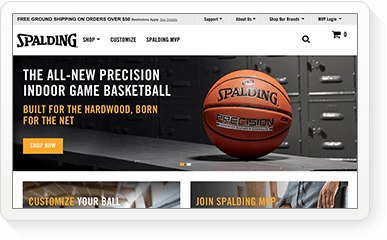 Increase average order values, convert more anonymous web visitors, and recommend the next best product, content, or offer faster for every customer on any channel. 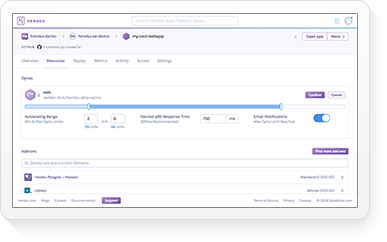 Predict consumer engagement with your email or website, discover insights about why consumers click or purchase, and drive smarter marketing using predicted behaviour to segment, trigger journeys, personalise messages, and more. Using Einstein Image Classification, recognise logos, objects, food, and scenes in social images to discover new insights regarding your brand — like where certain products are being used — even if your name or keywords aren’t mentioned. 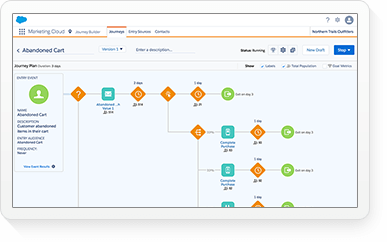 Leverage AI to analyse billions of touchpoints across consumer journeys and discover the optimal paths to conversion, including insights about which channels, messages, and events perform best. See how Einstein guides marketers. Recommend the right content and conversations. 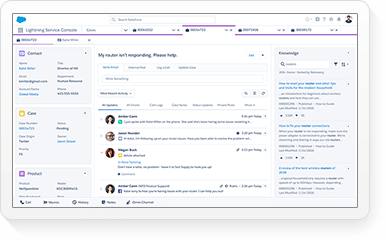 Enable community members to discover the people, content, and conversations they need to be the most productive, every day. Make the resources members need easy to find — automatically suggest relevant experts, groups, and content based on interests, needs, and behaviour from their social activities. Keep members engaged by identifying and promoting popular content — ensure that important posts and hot-button conversations are seen, thanks to an intelligent activity feed. Help your community members find certified experts on the topics that matter most to them so their questions are answered faster than ever. 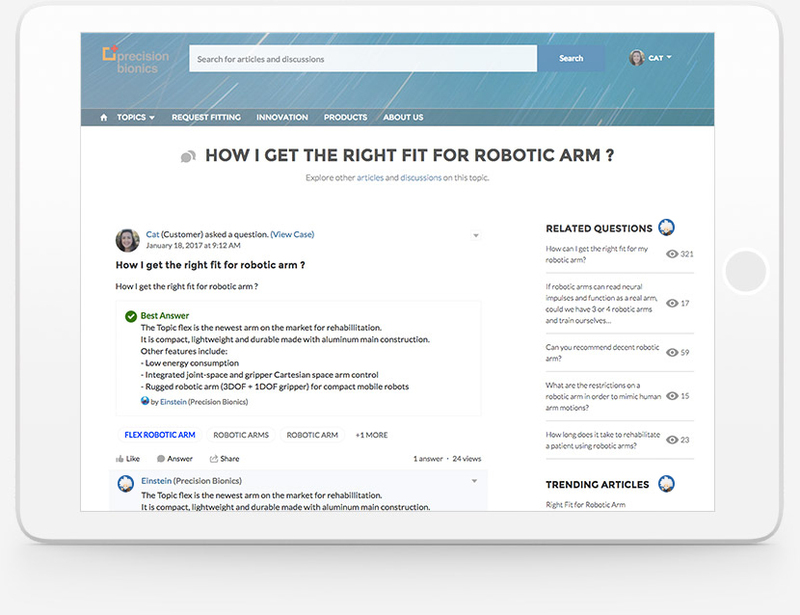 Get the top-ranked answers to searches based on relevance and engagement signals such as most recent, likes, views, and answers with Einstein Feed Search. Better yet, the search algorithm uses the Einstein Learn to Rank technique to get better over time so users always get the best results. See how Einstein aids every community member. Discover hidden insights in your data. Find patterns in your data so you can predict future trends and always know the next best sales, service, or marketing action. Find insights in millions of data combinations by automatically examining all variable combinations — eliminate the trial and error of hypothesis-driven analysis. See how Einstein makes sense of data. Embed customised intelligence in every app you build with myEinstein. 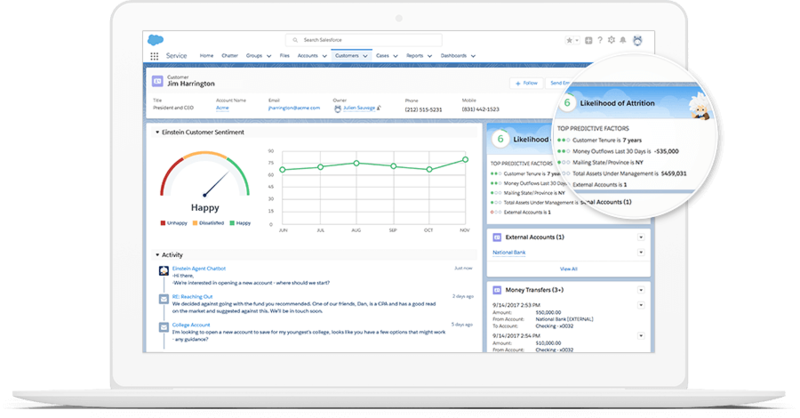 Now Trailblazers can build smarter, more predictive apps that leverage their Salesforce data and solve their specific business challenges with myEinstein. So everyone can have AI that’s customised for their business, without needing a data scientist. Harness the power of image recognition in your apps by training deep-learning models to recognise your brand, products, and more. Sign-up for Einstein Vision and Language today. Make shopping more predictive and personal. 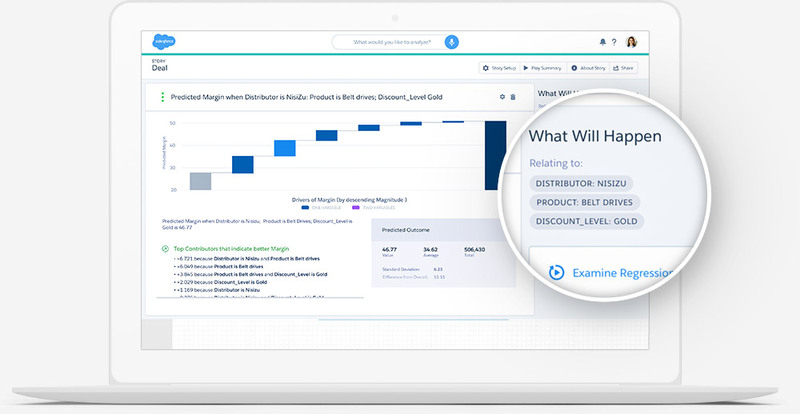 Delight shoppers with intelligent 1-to-1 shopping experiences powered by product recommendations, personalised sorting, and data-driven merchandising insights — no data scientist required. 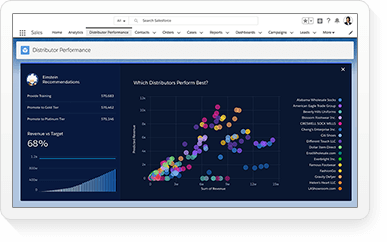 Identify the most effective product sets, bundles, and deals with a powerful shopping basket analysis dashboard that reveals purchasing behaviour. 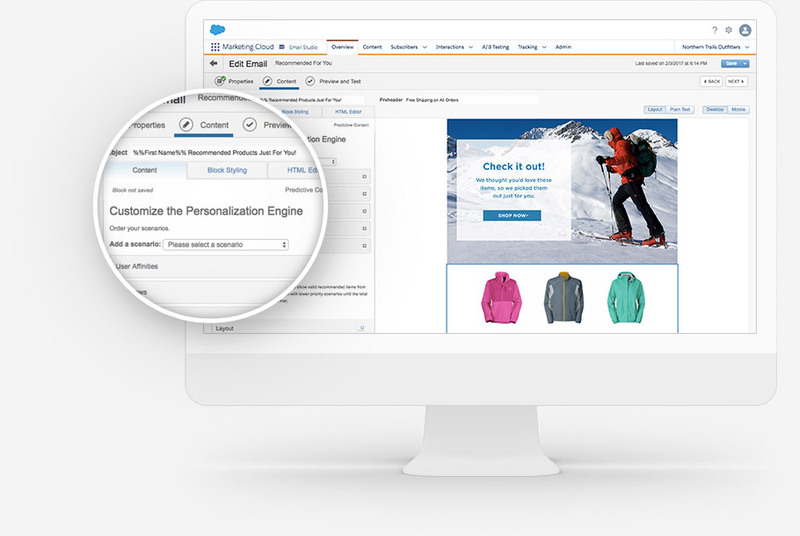 Create unique customer experiences across mobile and desktop with personalised product recommendations that eliminate manual merchandising and boost revenue per site visitor. 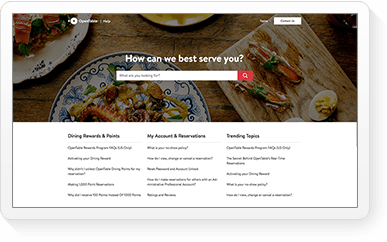 Help shoppers find what they are looking for faster by personalising search and category page results to each customer, whether they are known or unknown. 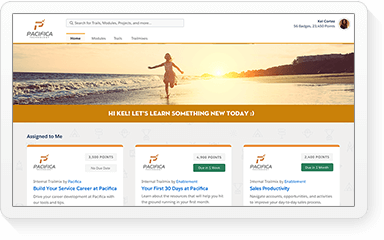 Eliminate gaps in search dictionaries so that shoppers never see “no results” pages and can quickly find the products they are looking for.